Speech recovery in the presence of very harsh noise is calling for R&D that take approaches different from those established to date, as the conventional systems and algorithms for speech denoising may suffer from serious performance degradation. In this paper, we propose a hybrid nonlinear adaptive noise canceller (ANC) to perform the speech enhancement task using both bone- and air-conducted measurements. In the proposed ANC, the bone-conducted speech serves as a reference signal while the air-conducted measurement with very large additive noise is adopted as a primary noise. A Volterra filter and a functional link artificial neural network (FLANN) are placed in parallel, forming a hybrid nonlinear ANC. 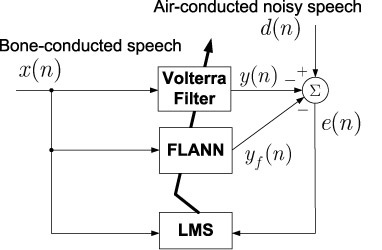 Simulations using real bone- and air-conducted speech measurements are provided to demonstrate that the proposed system outperforms ANCs equipped with FIR filter or Volterra filter or FLANN alone. R. Xiao, Y. Ma, B. Huang, Y. Xiao, and K. Hasegawa, “A Hybrid Nonlinear ANC for Speech Recovery Using Both Bone- and Air-Conducted Measurements,” J. Robot. Mechatron., Vol.27, No.5, pp. 520-527, 2015. S. Gannot, D. Burshtein, and E. Weinstein, “Iterative and sequential Kalman filter-based speech enhancement algorithms,” IEEE Trans. Speech, Audio Process., Vol.6, No.4, pp. 373-385, Jul. 1998. S. Boll, “Suppression of acoustic noise in speech using spectral subtraction,” IEEE Trans. Acoust. Speech Signal Process., Vol.27, No.2, pp. 113-120, 1979. N. Upadhyay and A. Karmakar, “Single channel speech enhancement utilizing iterative processing of multi-band spectral subtraction algorithm,” Proc. 2012 Int. Conf. Power, Control, and Embedded Systems, 2012. X. Zou, P. Jancovic, J. Liu, and M. Kokuer, “Speech signal enhancement based on MAP algorithm in the ICA space,” IEEE Trans. Signal Process., Vol.56, No.5, pp. 1812-1820, May 2008. N. Yousefian and P. C. Loizou, “A dual-microphone speech enhancement algorithm based on the coherence function,” IEEE Trans. Audio, Speech, Lang. Process., Vol.20, No.2, pp. 599-609, Feb. 2012. J. Yu, L. Zhang, and Z. Zhou, “A novel voice collection scheme based on bone-conduction,” Proc. ISCIT2005, pp. 1126-1129, 2005. T. Shimamura and T. Tamiya, “Learning for bone-conducted speech via adaptive and neural filters,” Proc. Int. Conf. Signals and Electronic Systems, Sep. 2006. Y. Xiao, R. Xiao, B. Huang, and K. Hasegawa, “A nonlinear adaptive noise canceller for speech enhancement using Volterra filter,” Proc. of 2014 Int. Conf. 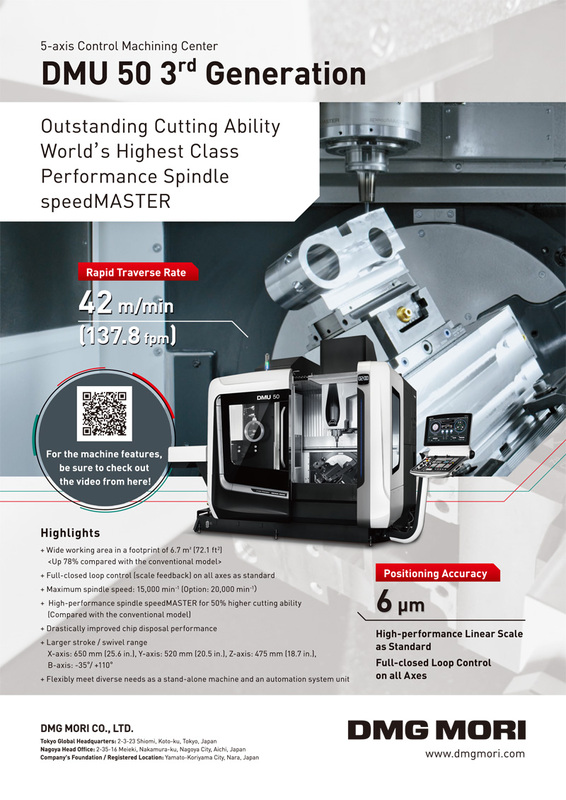 Advanced Mechatronic Systems, pp. 204-208, Aug. 2014. B. Huang, Y. Xiao, J. Sun, G. Wei, and H. Wei, “Speech enhancement based on FLANN using both bone- and air-conducted measurements,” Proc. APSIPA 2014, Dec. 2014. V. Volterra, “Theory of functionals and of integrals and integro-differential equations,” New York: Dover Publications, 1959. S. Orcioni, M. Pirani, and C. Turchetti, “Advances in Lee-Schetzen method for Volterra filter identification,” Multidimensional Systems and Signal Processing, Vol.16, No.3, pp. 265-284, 2005. Y. Zhang, S. Bai, P. Chen, and S. Qu, “A novel second-order DFP-based Volterra filter and its applications to chaotic time series prediction,” Proc. 31st Chinese Control Conf., pp. 1036-1039, 2012. Y. H. Pao, “Adaptive pattern recognition and neural networks,” Reading, MA: Addison-Wesley, 1989. G. Panda and D. P. Das, “Functional link artificial neural network for active control of nonlinear noise processes,” Proc. Int. Workshop on Acoustic Echo and Noise Control, pp. 163-166, Sep. 2003.